Excessive gas and bloating in the digestive tract can be both embarrassing and uncomfortable. Though each individual passes gas around 12 times in a day, some people suffer from more serious gas problem that can cause extreme pain. If you frequently suffer from abdominal pain, bloating and passage of gas, you can get help from activated charcoal. Activated carbon is very effective as it absorbs excessive flatulence and removes undesirable compounds from your digestive tract. Keep reading to find more about activated charcoal for gas. How Does Activated Charcoal Work for Gas? A special type of charcoal, activated carbon is usually manufactured from bamboo or coconut shells. It is oxidized at very high temperatures which changes its structure to a highly porous state. Activated carbon contains millions of tiny pores that take up gases and toxins electrostatically from your intestines and lock them for elimination from the intestines. Most of the toxic substances in your digestive tract have a positive charge whereas the activated carbon has a strong negative charge. This draws these toxic substances, traces of heavy metals and other contaminants into the structure of activated carbon. It also traps and absorbs hydrogen sulphide, the gas responsible for smelly fart. Activated charcoal passes in the form of a vacuum cleaner through the intestine, drawing toxins as it goes. Activated carbon does not go through any metabolism process in the body. However, it is necessary that you take activated charcoal at certain time of the day and in a certain way for it to be effective in doing its job. Always remember to take activated charcoal (whether taken as capsule, tablet or powder) on an empty stomach along with a large glass of water. The water helps it to move to the intestines from the stomach. Taking it empty stomach helps in two ways: the charcoal moves easily through the digestive tract and the nutrients from the food are not absorbed by the charcoal. The difference between a meal and taking activated charcoal for gas should be at least 1-1/2 hours and preferably 2 hours. The advice on timing is especially important if you are taking medicines and supplements. It is imperative to always allow 2 hours either side of taking medicines and supplements when ingesting activated carbon. It is recommended to consult a physician before taking activated charcoal if you are taking important medicines. It is generally recommended that you use activated charcoal intermittently and not as a daily supplement. You can time your ingestion of activated charcoal depending upon when you are having problems with gas. For instance, if you have problem with morning flatulence, you can take active charcoal 1-1/2 hours before dinner. On the other hand, if you have problem with flatulence in the evening, you can take it mid morning, sometime between breakfast and lunch. The recommended dosage for activated carbon for toxin removal and frequent gas is in between 500 mg and 1000 mg (generally 2-4 capsules depending upon the size). The dosage can be doubled if you are suffering from smelly and excessive flatulence. For most of the adults, activated charcoal is safe when used for short term. Black stools and constipation are some of the side effects of activated charcoal. Some rare but serious side effects include blockage or slowing of the intestinal tract, dehydration and regurgitation into the lungs. During pregnancy and while breast feeding. During pregnancy and while breast feeding, activated charcoal for gas may be used for short term safely; however, it is recommended to consult with a doctor before using it. GI (gastrointestinal blockage) or slow movement of food through the digestive tract. Activated charcoal should not be used if you have any form of intestinal obstruction. Activated charcoal should also not be used, unless you are under the care of a physician, if the passage of food through your intestine is slow, a condition referred to as reduced peristalsis. Interaction of activated charcoal and syrup of ipecac. Active charcoal can absorb the ipecac syrup, decreasing its effectiveness. Interaction of activated charcoal and alcohol. Sometimes, activated charcoal is used to prevent absorption of poisons into the body. Ingesting alcohol with activated charcoal may reduce the effectiveness of activated charcoal in preventing the absorption of poison in the body. Activated charcoal has been found to prevent the absorption of a wide range of toxins and drugs in emergency situations. Some of these drugs include an overdose of pharmaceutical drugs including aspirin, cocaine, opium and morphine, toxins obtained from pesticides such as DDT and chemicals such as lead and mercury. 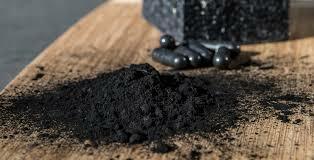 Activated charcoal is also said to relieve the bee stings, snake bites, poison ivy rashes, spider bites such as those from Black Widow or Brown Recluse and other poisonous bites. You can make a poultice of activated charcoal with some amount of water and flaxseed powder or cornstarch. As activated charcoal removes toxins from the body, it can help in reducing acne and other impurities of the skin. It also helps in removing the make-up completely. You can DIY your own skin care product with activated charcoal. Activated charcoal also helps in whitening teeth besides activated charcoal for gas. Just sprinkle some activated charcoal powder onto some toothpaste, put on a toothbrush and brush your teeth. However, if you notice that you have developed teeth sensitivity after using activated charcoal, you should limit its use to once or twice per week or stop it altogether. Since activated charcoal helps in removing toxins from the body, some people use it to remove the built up toxins from their body. The length of this cleaning may vary from a week to two weeks. What Are the Causes of Elevated Creatinine Level?